Biotinylated Human IL-4, His Tag (IL4-H82E0) is expressed from human 293 cells (HEK293). It contains AA His 25 - Ser 153 (Accession # AAH67514). 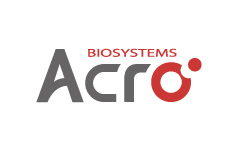 The protein has a calculated MW of 17.6 kDa. As a result of glycosylation, the protein migrates as 22 kDa under reducing (R) condition, and 21 kDa under non-reducing (NR) condition (SDS-PAGE). 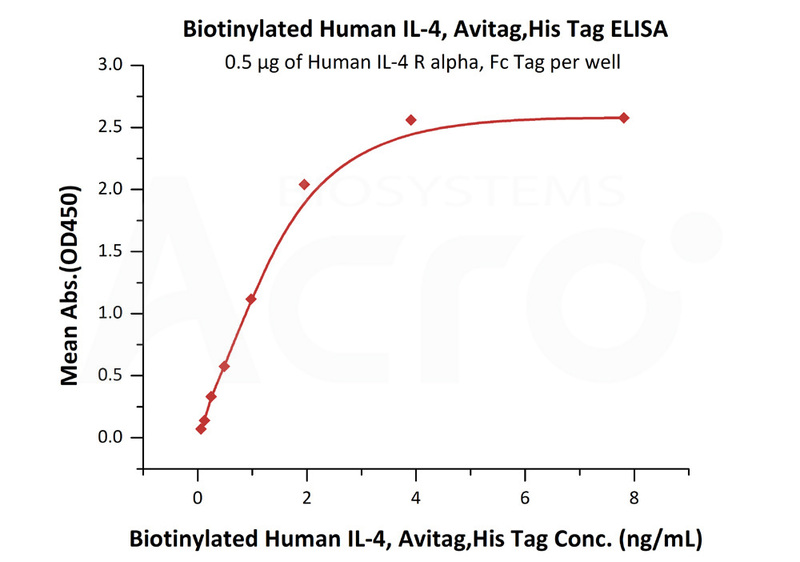 Biotinylated Human IL-4, His Tag on SDS-PAGE under reducing (R) and non-reducing (NR) conditions. The gel was stained overnight with Coomassie Blue. The purity of the protein is greater than 95%. Immobilized Human IL-4 R alpha, His Tag (Cat. No. 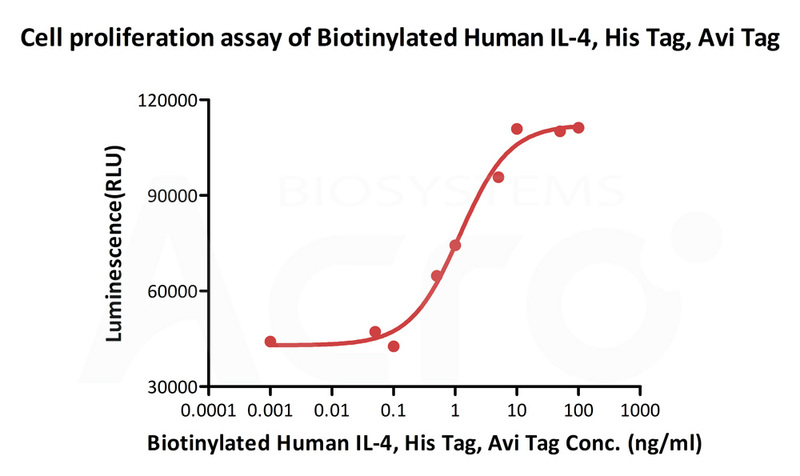 ILR-H5221) at 5 μg/mL (100 μL/well) can bind Biotinylated Human IL-4, His Tag (Cat. No. IL4-H82E0) with a linear range of 1.95-15.6 ng/mL (QC tested). Immobilized Human IL-4 R alpha, Fc Tag (Cat. No. 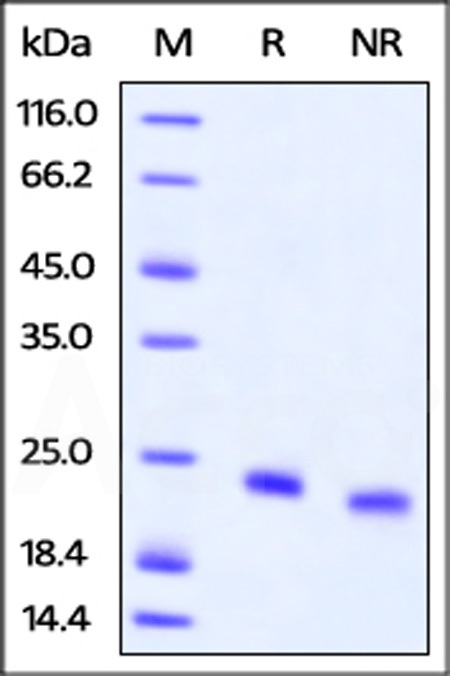 ILR-H5253) at 5 μg/mL (100 μL/well)can bind Biotinylated Human IL-4, His Tag (Cat. No. IL4-H82E0) with a linear range of 0.1-2 ng/mL (Routinely tested). 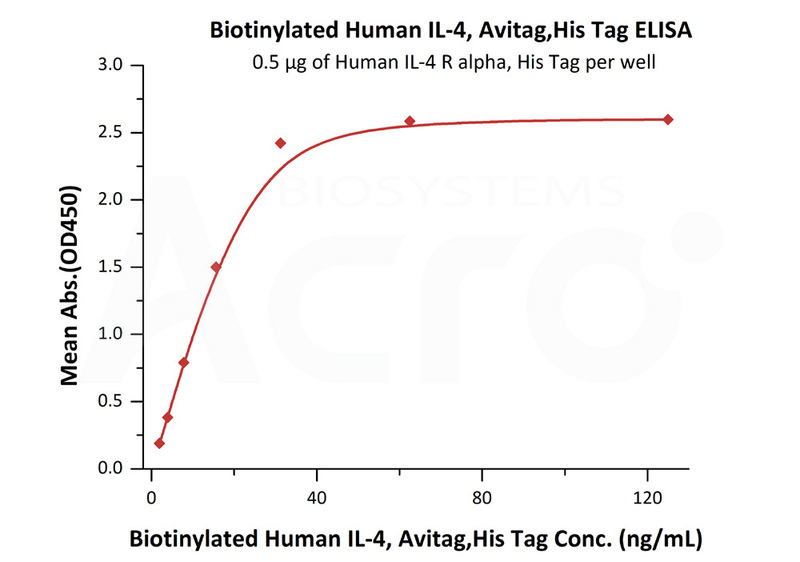 Biotinylated Human IL-4, His Tag, Avi Tag (Cat. No. IL4-H82E0) stimulates the proliferation of TF-1 human erythroleukemic cells. The ED50 for this effect is 1.19-2.64 ng/mL (Routinely tested). Interleukin-4, is a cytokine that induces differentiation of naive helper T cells (Th0 cells to Th2 cells). 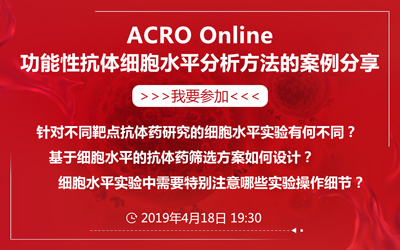 In the presence of IL-4 and IL-13, cytokines that are produced in a Th-2 type response, particularly during allergy and parasitic infections, macrophages become differentially activated, And this cytokine is a ligand for interleukin 4 receptor. The interleukin 4 receptor also binds to IL13, which may contribute to many overlapping functions of this cytokine and IL13. 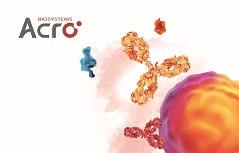 STAT6, a signal transducer and activator of transcription, has been shown to play a central role in mediating the immune regulatory signal of this cytokine. Recently, researcher found that the cytokine IL-4 plays a key role in development of innate CD8+ T cells in the thymus of several gene-deficient mouse strains, including Itk, KLF2, CBP and Id3, without previous exposure to antigen.